English YouTube star who has earned over 2.2 million subscribers. 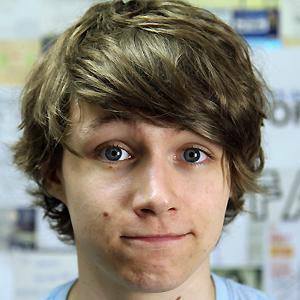 He created his YouTube channel charlieissocoollike in April 2007, and it became the first UK channel to receive one million subscribers. He lived with fellow vlogger Alex Day after being raised by his parents in Somerset. He launched the daily morning show Cereal Time in June 2015 with co-host jimmy0010. He is also a member of the English rock band Chameleon Circuit. He was romantically linked to fellow internet celebrity Bryarly Bishop from 2011 until 2013. He has two siblings, William and Bridie. He began dating Emily Diana Ruth in 2016. He provided the voice of Stephen Fry on several of his YouTube videos.